Home » Who Will Walk With Me? A never-before-heard message from the Messenger of God, Marshall Vian Summers, streamed live to the world on January 25, 2014. 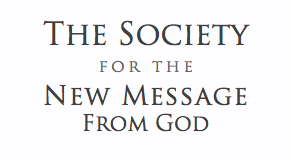 This communication is part of an inspired series of global messages from the Messenger in 2013 – 2014.
Who will walk with me as I bring God’s New Revelation into the world, given now not to one tribe or group, but to all of humanity; given to enrich and unite the world as it faces its greatest challenges and greatest difficulties? Who can recognize that God’s Revelation is for them. Even if the voice of Revelation may challenge your former beliefs and ideas, it makes perfect sense to your heart. Who will walk with me and help me bring this into the world? Who will face the uncertainty, the challenge and the great reward for carrying out Heaven’s will for humanity, to prepare humanity for a world in decline and for its engagement with a universe full of intelligent life? Who will walk with me as I bring the restoration to each person who can receive it, who can honor it, who can follow it? Who will walk with me as I bring the great preparation for humanity’s future, a future that will be unlike the past in so many ways? For I tell you that the great Messengers of history walk with me for I come from the same assembly that they came from. I bring the will and power of Heaven, the graciousness and the blessings of Heaven to a world of poverty and degradation and growing religious and social strife. God has spoken again at a time of the greatest and ever-escalating need. Will you walk with me as I bring this answer into the world, an answer for you and an answer for people you do not know and may never know in this life? Will you walk with me as I provide to you the Steps to Knowledge, the pathway to your restoration, and receive this and share it with others which will be natural for you to do as you learn to receive? Who will walk with the Messenger now while the Message is pure and precious, uncorrupted by the world, unadopted by the world, without the world’s degradation and misuse to tarnish it and obscure it? Who will have the courage, the humility and the honesty to follow that which the human family does not yet recognize, to receive that which the human family has not yet received, to honor that which the human family has not yet learned to honor? This is how God calls you in the world out of your dilemma and your fruitless search for personal fulfillment into a greater arena of life and destiny and to a greater purpose and preparation, into a greater life now that was always intended for you. Who will walk with me so that these things may be received and shared in the world? He is speaking to a worldwide community — broadcasting around the globe to the entire world to meet a greater and deeper human need.